You may remember the original shoes which inspired this blog post - namely the leopard print version of these shoes below. The leopard-print shoes were a huge success - my go to / go with anything / go anywhere in because they are so comfortable shoe. 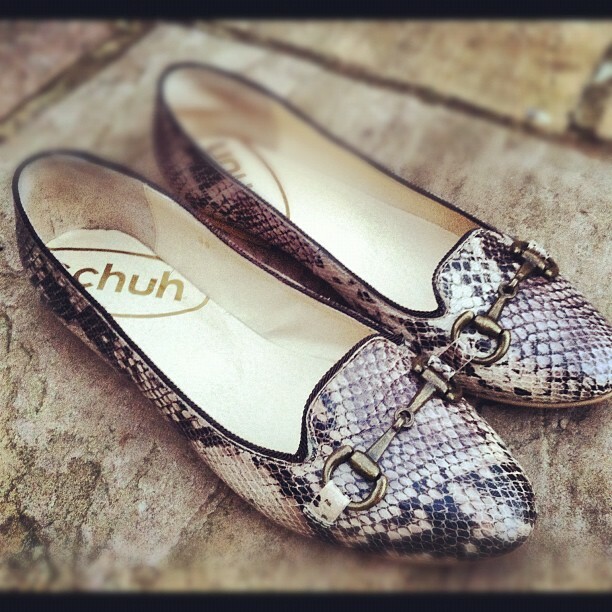 So I logged onto the Schuh website last week, and what you you know, these snake-skin puppies are in the sale for £24.99, with free delivery. Ordered them, they arrived the next day, and boom, they've now formed an almost surgical attachment to my feet.